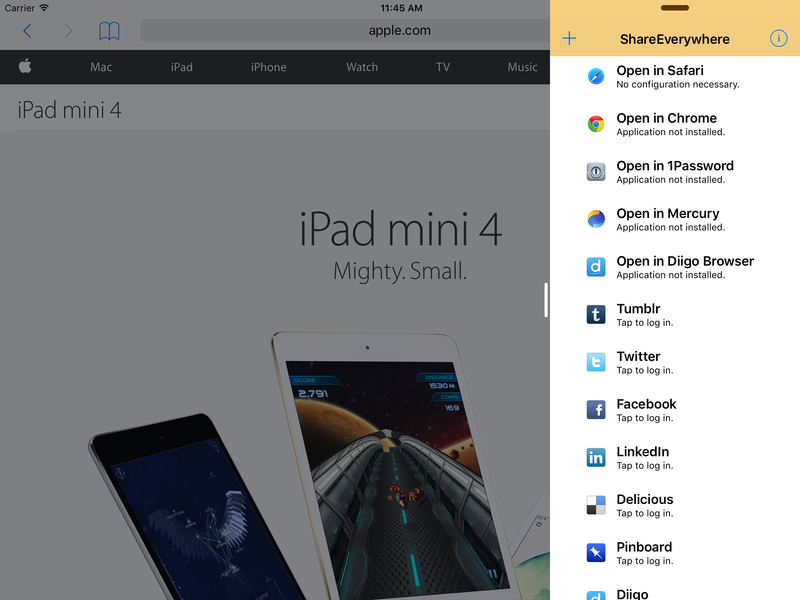 The first iOS 9 update to make it out of Wandle HQ is for our sharing utility app, ShareEverywhere. Other than the usual minor fixes and enhancements, most improvements come with iOS 9. For example, on some of the newer iPads you get the “slide over” multitasking feature, that might allow you to tweak a setting before launching the sharer in the main app. Not an everyday occurrence, perhaps, but useful. With luck, ShareEverywhere 1.1.2 should be available for download in a week or so.